There are several treatments for carpal tunnel syndrome, as well as things you can do yourself to help make it better. managing rheumatoid arthritis or connective tissue diseases. Repetitive or heavy activities using your wrist – such as pruning, house building, wringing out wet clothes, or holding heavy trays and dishes – can make carpal tunnel syndrome worse. Try to avoid or cut down on these tasks if possible. Check your general posture. Slouching, and how you hold your wrists when doing things like working at a desk or reading can make it worse. You may notice that your symptoms are worse at night. This is due to your wrist being curled up while you're sleeping, putting pressure on your median nerve. Some people find that a wrist splint helps prevent or reduce their night pain and numbness. The wrist splint holds their wrist in a neutral position, preventing the median nerve from being compressed. 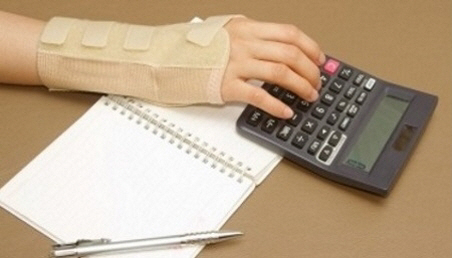 You can buy a suitable wrist splint from most physiotherapists, pharmacies and sports shops. It’s the same brace that snowboarders and skaters use to protect their wrists. You can also buy one online by searching for "wrist splint for carpal tunnel nz". Prices range from $20 to $60. When buying a wrist splint, make sure it has a metal or plastic piece at the front to stop your wrist curling up. Also make sure it fits comfortably. For a more specific splint, you may want to see a hand therapist who can make a splint for you. You'll need to pay for the consultation and materials. Your GP will be able to talk to you about treating and managing any underlying conditions that may be making your carpal tunnel syndrome worse, and prescribe appropriate pain relief. Your GP may also be able to give you steroid injections for carpal tunnel syndrome. Steroid injections often ease the pain and symptoms of carpal tunnel syndrome. For some people the relief is long-lasting, especially if you haven't had carpal tunnel syndrome for long, or you have a mild case. If you have had it for longer than six months or have severe symptoms, steroid injections are likely to give only temporary relief. Local specialists say that most people should have no more than three steroid injections. If your GP is not experienced in giving steroid injections, they can refer you to another GP who is. If appropriate, your GP can refer you to either the plastic surgery or orthopaedic surgery department. Or you could choose to pay to see a private plastic surgeon, private orthopaedic surgeon or private neurosurgeon. You may choose to pay to see a private hand therapist or physiotherapist. Written by HealthInfo clinical advisers.Endorsed by clinical directors, Plastic Surgery and Orthopaedic Surgery, Canterbury DHB. Last reviewed March 2017. Last updated December 2018.